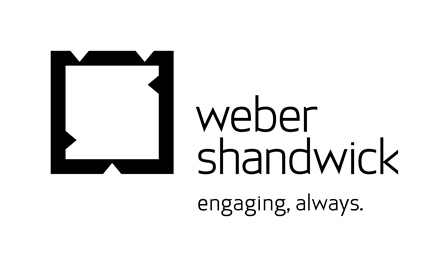 In a world of accelerating change, the team at Weber Shandwick knows the only way to stay true to their commitment to be “Engaging always” is to evolve, innovate and start anew — always. And with purpose. In 2016, the firm took a fresh look at their overall corporate citizenship efforts in order to define what’s next — and more importantly, what’s possible — for their people, their clients, their business, and the world around all of us. The efforts proved what Weber Shandwick’s staff has always known: Communications is a powerful tool for change. Within the 2016 corporate citizenship report, “Engaging on Purpose,” Weber Shandwick has highlighted the carbon emissions reductions achieved by their North America group in partnership with Carbonfund.org Foundation. • Greenhouse gas emissions from 39,714,906 miles driven in an average passenger-sized vehicle, enough miles to drive around the globe 1,595 times. Weber Shandwick is committed to going green whenever possible and incorporating sustainable practices into day-to-day work. Yet the firm recognizes that while each staff member strives to reduce carbon emissions contribution, some energy expenditures are unavoidable. For these inputs, Weber Shandwick has worked with Carbonfund.org Foundation for the past nine years to offset a portion of business travel emissions. By purchasing offset certificates for North America teams’ non-billable air travel, Weber Shandwick is supporting energy efficiency, renewable energy and forestry-based projects across the nation. Partnering with Carbonfund.org brings Weber Shandwick closer to the firm’s goal of minimizing its environmental footprint and promoting sustainability across the globe. Carbonfund.org is proud to partner with Weber Shandwick in these important sustainability efforts.